Closed from 16/12 until 03/02. Sailboat and motorboat rental with and without skipper; Maritime excursions with "All Inclusive"; boat rental with instructor; navigation license (before called Titulín) and practices of PNB, PER and sailing. Deposit of ashes in the sea. Events for groups: incentives, team building, regattas, etc. The maintenance and good condition of our boats is one of our priorities. We currently have six sailboats (3 Tucana 28, 1 Bavaria 37, 1 Bavaria 38 and 1 Hanse 430e) and 2 power boats (TF 22 Walkaround). 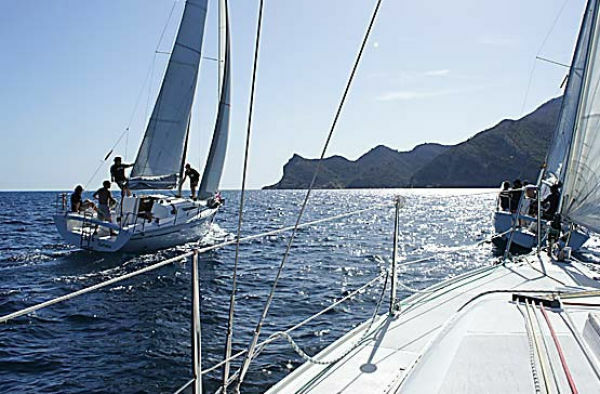 Enjoy sailing through the Costa Blanca: Bays and coves of Benidorm, Altea, Calpe, Moraira, Cabo de la Nao, Javea .... Also make the crossing to Ibiza and Formentera and get lost in its splendid beaches and coves. Maybe you have the fortune to spot dolphins, moon fish and even whales. 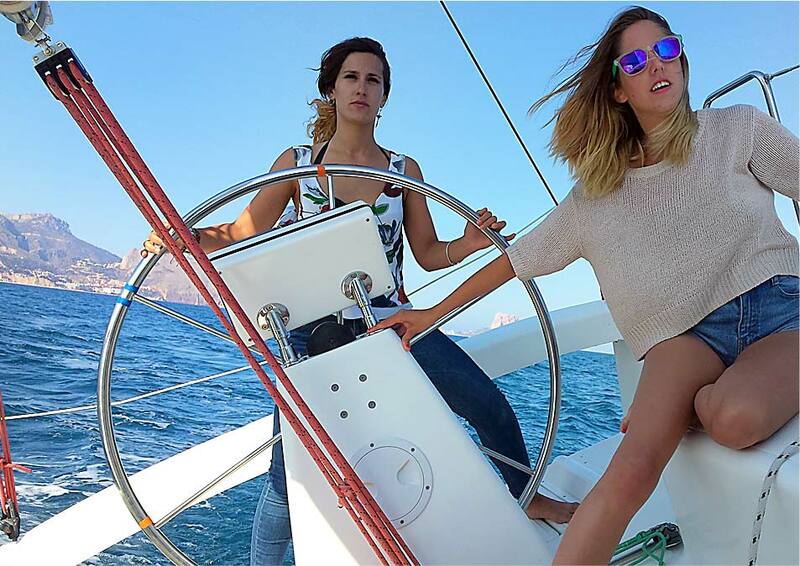 Enjoy sailing on a boat through the bay of Altea and the Serra Gelada Natural Park, day or night. Regattas, team building, group excursions on several boats, etc. As well as catering and any necessary service. 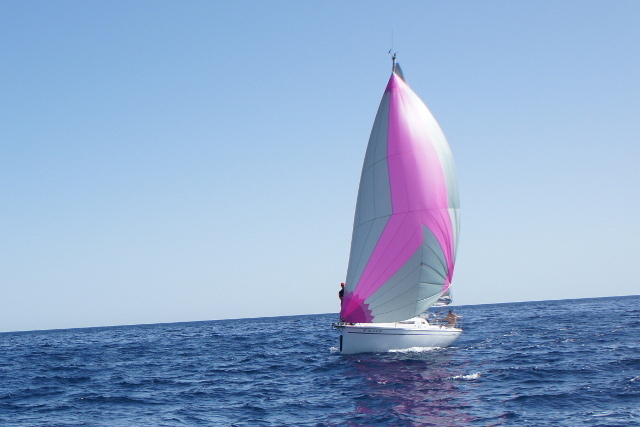 We offer a deposit service of funeral ashes both in sailboat and power boat. Request a quote without compromise. Albir Marina SL © 2017 All rights reserved. Web design by Zoom Creactivo.